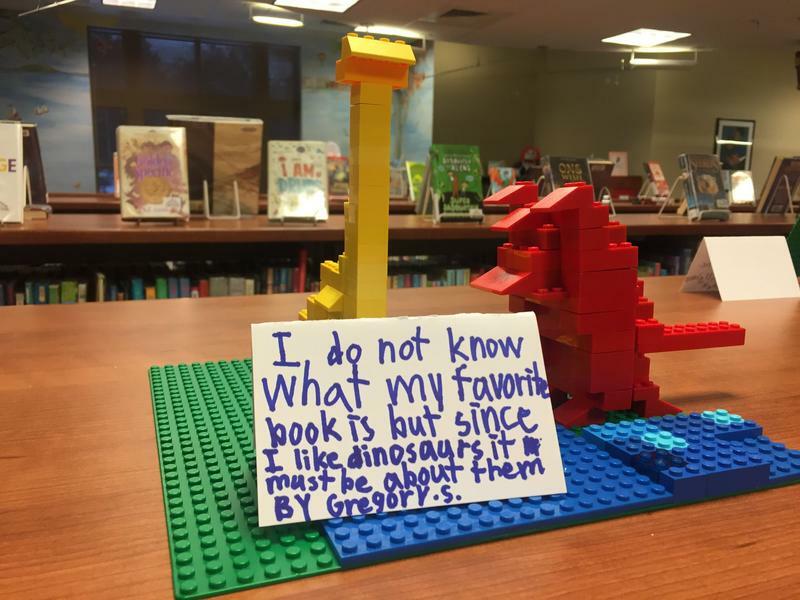 A student creation from Pewaukee Public Library's "Lego Club," based on the prompt of the week: Build something that represents your favorite book. Lake Effect's Rachel Morello peeks in on Pewaukee Public Library's "Lego Club" -- and speaks with two staffers from the Bridges Library System: marketing and communications coordinator Jill Fuller and youth and special needs services coordinator Angela Meyers. Makerspaces, robotics classes, coding groups and Lego clubs are just a few of the extra offerings for school-age kids within the Bridges Library System – a group of 24 public libraries spanning Waukesha and Jefferson counties. Bridges staff members Jill Fuller and Angela Meyers say today’s libraries are evolving to supplement what kids learn in school – as well as fill in the gaps for things they might not get in the classroom.